One of the last poignant questions from our previous Ryzen APU coverage is the way that integrated graphics scales with overclocking. As these low-end Ryzen APUs are all about gaming on a budget, our previous looks into core frequency and memory scaling lead naturally into examining how well the graphics overclocks and what extra performance can be had with a light touch of BIOS settings. We pushed both of our APUs to 1600 MHz on the graphics, representing a +45% overclock, which translates into some interesting results. 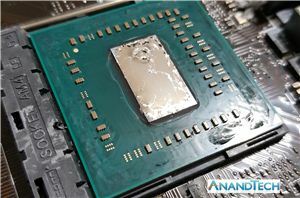 The pairing of AMD's high-performance Zen compute cores and Vega graphics into a tidy little package was a resuscitation for integrated graphics, making the low-end desktop market a lot more interesting, as our Ryzen 5 2400G and Ryzen 3 2200G review concluded. In order to increase performance for gaming, there were three potential avenues to look into. 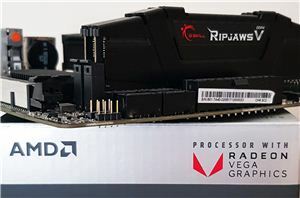 The first one led to our analysis into how memory frequency scales with AMD’s APUs, based on the relationship between memory performance and gaming, showed that memory can have a positive impact on performance. 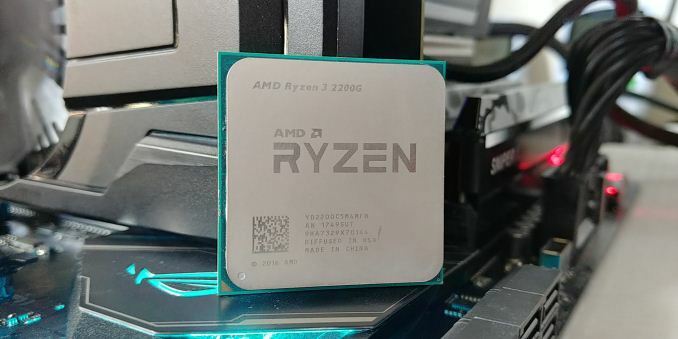 The second was our Ryzen 5 2400G and Ryzen 3 2200G core frequency scaling article, which showed that increasing the CPU core speed didn’t have the effect on gaming performance one would potentially hope to find. The last of the set is overclocking the integrated graphics frequency, which often leads to a direct increase in frame rates. 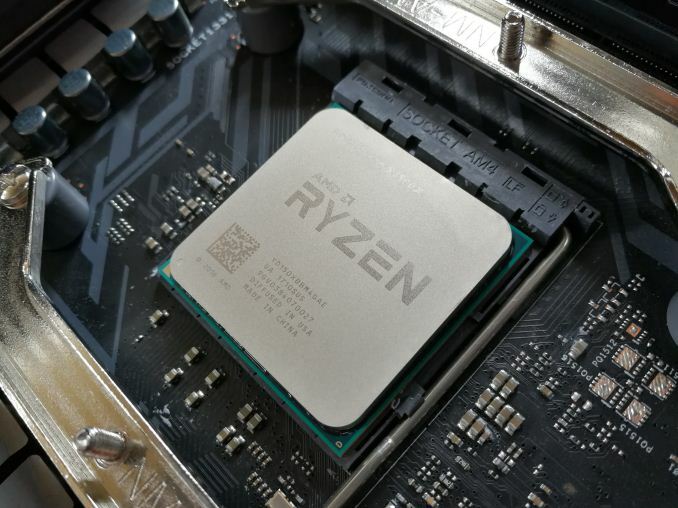 The interesting thing to take from our Ryzen 2000 series APU overclocking guide was that the performance increase was easy to spot when every component on the amalgamated Zen and Vega package plus memory was pushed. The biggest take from our Ryzen APU memory scaling was that the Infinity Fabric interconnect did improve performance from memory in gaming, more so than pure CPU core frequency in certain cases. It was also noted that overclocking everything at once was more difficult than increasing each part independently - what was a good individual overclock, was not always possible when the CPU, memory, and graphics were overclocked together. Focusing specifically on the intergrated graphics for this article, the primary aim is to ascertain whether or not overclocking the Vega cores on their own yields a big enough benefit in our game testing suite to make it worthwhile. As long as the graphics can continually be fed from the memory and infinity fabric, we should see a good linear increase, especially when the GPU is the bottleneck, however the resolutions aimed at these GPUs might throw interesting features into the mix. 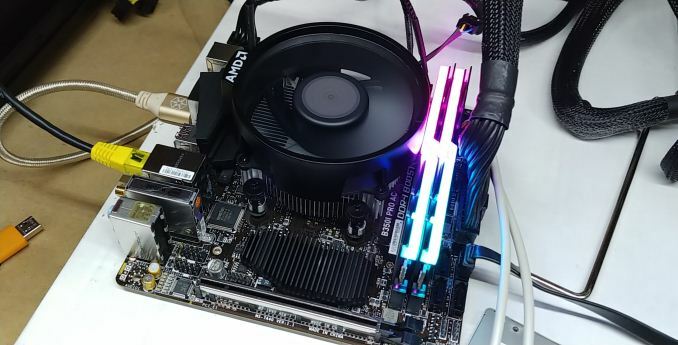 In this review we will recover overclocking the integrated graphics, and take each APU from its stock graphics frequency up to the highest overclock we could achieve, in 50 MHz steps. The results, are interesting. As per our testing policy, we take a premium category motherboard suitable for the socket and equip the system with a suitable amount of memory. With this test setup, we are using the BIOS to set the integrated graphics frequency using the provided straps on the MSI B350I Pro AC motherboard. The memory is set to the maximum supported official speed. 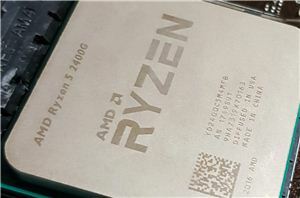 The CPU core frequency on both the Ryzen 5 2400G and Ryzen 3 2200G was left at their respective default settings. We took our previous gaming suite for this comparison. It's a little dated, but it still checks out. We will be using newer games in future analysis pieces. 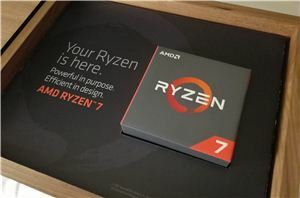 Since our last big coverage of AMD's Ryzen APUs, it was announced that several new parts will be coming to the market under the 'Athlon' brand. These will be much cheaper parts, starting at $55, and offering fewer cores and fewer Vega compute units for that market. We currently have the 200GE in for a future review, but everything in this article should apply to this APU as well. Interesting analysis, though it's a bit of a foregone conclusion these days to expect a GPU overclock to improve performance in games more than a CPU overclock since the central processor, after a point, has very little role in increasing framerates. 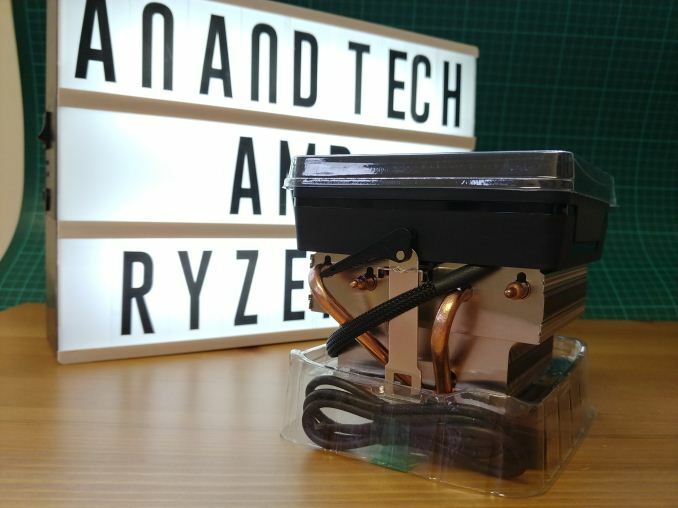 This one struck me as odd though - "...Ryzen APUs are marketed for 720p gaming, and while resolutions such as 2160p and 1440p are out of reach purely for performance reasons, we have opted to use moderate settings at 1080p for our testing." Would be great if you had tested just one game at 720p. agree 100%. They do a lot of dumb testing here. Ryan has been claiming 1440p was the "enthusiast resolution" since Geforce 660ti. I don't even think you can say that TODAY as I'm staring at my two monitors (have a 3rd also 1080p), both of which are 1200p/1080p. For me, I need everything turned on, and you need to show where it hits 30fps at that level. Why? Because the designers of the games didn't want you to play their game at "MODERATE SETTINGS"...ROFL. Just ask them. They design EXACTLY WHAT THEY WANT YOU TO SEE. Then for some reason, reviewers ignore this, and benchmark the crap out of situations I'd avoid at all costs. I don't play a game until I can max it on one of my two monitors with my current card. If I want to play something that badly early, I'll buy a new card to do it. All tested resolutions should be MAXED OUT settings wise. Why would I even care how something runs being degraded? Show me the best, or drop dead. This is why I come to anandtech ONLY if I haven't had my fill from everywhere else. Is it just me or are these test just for borderline ill people?